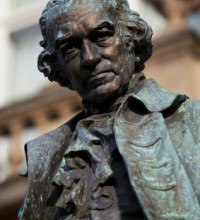 In the mid-eighteenth century, a young man named James Watt sat by the fireplace, gazing earnestly at the teakettle on the stove.Watching the steam rise from the boiling kettle fascinated him. This experience led to the commencement of a lifelong fascination with steam. It also led to his recognition as being the inventor of the first modern (and practical) steam engine. In the years since then, the progress in science has helped people become aware of the numerous benefits of steam. Historically, people used steam as a natural aid to help healing and relaxation. They believed that steam could prevent, heal and provide relief from various ailments and illnesses. Initially, people visited commercial establishments like spas and baths to experience the benefits of steam. Nowadays, the advent of steam showers has enabled more people to benefit from the therapeutic effects of steam – from the comfort of their own homes. 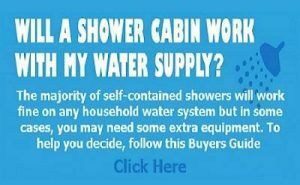 This is also a pointer to the affordability of a steam shower cabin in current times. The growing popularity of steam showers stems from a growing awareness of the manifold benefits of steam. The use of steam has several health benefits. Read on to gain an insight about the health benefits you could obtain by using steam. Some decades back, lifestyles and diets used to be healthy and beneficial to the body. Earlier generations did not rely on indiscriminate use of chemicals, pesticides, fertilisers and other kinds of toxins like heavy metals and exhaust fumes. However, the increase in pollution levels and the use of chemicals has complicated matters. A concentrated presence of these in the body could lead to severe illnesses. – Endogenous Toxins: These comprise of biological wastes within the body (including fatty deposits and tissue fluid). – Exogenous Toxins: These comprise of the pollutants and chemicals present in the environment. Perspiring in a steam shower cabin is more beneficial than perspiring during exercise, according to several doctors. While exercising, the exertion and strain on the body also affects the kidney and liver. However, when you sit in a steam shower cabin or your own steam room that uses a DIY steam room kit, you do not put any unnecessary strain on your vital organs. Spending time a steam shower cabin or your own custom steam room can give plenty of respite to your skin. People have used steam showers to improve the tone, moisture and clarity of the skin. Typically, saunas use steam generators to produce water vapours. In our steam shower units, the fitted 3kW steam generator fills the steam shower cabin with vapours. The user sets the temperature for the cabin based on their personal requirements. 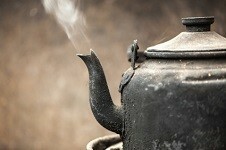 Steam helps in opening the pores in your body, thereby releasing the toxins. The heat of the steam shower increases your metabolism and your pulse rate. It stimulates your cardiovascular system and increases the number of heartbeats per minute. It also expands your blood vessels. This improves the flow of blood throughout your body. It also helps the skin receive essential nutrients like vitamins, minerals and oxygen. This leads to an improvement in your skin tone and clarity, vouched for by your radiant and youthful skin. Steam makes the skin brighter and more radiant. However, it has another utility in terms of beauty treatment too. Increasingly, women are using the steam for hair treatment and styling. This device makes their hair frizz and humidity proof. Additionally, it does this quicker than the conventional blow dry and iron. As mentioned earlier, a steam shower increases the heat, which results in improved blood circulation throughout the body. The improved flow of blood helps relax the muscles. It also alleviates the tension in the body after a long day at the workplace. Several physicians recommend using a steam shower to their patients to obtain relief from stiff joints and arthritis. In fact, research has shown that the use of heat therapy with complete body hypothermia can decrease the pain, stiffness and fatigue experienced by people afflicted with rheumatoid arthritis and ankylosing spondylitis. Some spas and health clubs diffuse aromatherapy oils along with steam. These oils can be very helpful in relaxing the mind. Moreover, research has shown that elderly people can enjoy better quality sleep if they take regular steam baths. In some cases, steam baths have helped cure sleep-related ailments like insomnia. People have used steam to provide relief to people suffering from a number of ailments like asthma, bronchitis, sinusitis and other allergies of the lung. Steam helps in unclogging the airways in the lungs. This results in providing relief from inflammations or congestion in the lungs, thereby enabling people to breathe more easily. This is why doctors recommend people with respiratory ailments to take regular steam baths. The hot and moist air of the cabin helps these people to breathe comfortably. A steam shower raises the body temperature, in almost the same manner as a fever does. When the body eliminates the viruses present in it, fevers result. This is because viruses cannot survive at high body temperatures. Thus, fevers represent the body’s natural defense against microorganisms. Ankylosing spondylitis is a disease that causes spinal bones to fuse with each other. It also results in inflammations. Estimates suggest that one in every thousand people in the UK suffer from ankylosing spondylitis. Rheumatoid arthritis is an autoimmune disease. It causes inflammation in the joints of the body. It also results in serious damage to the tissues in the body. 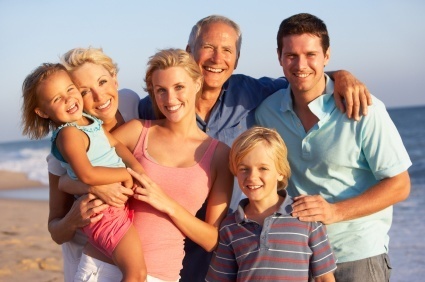 Estimates suggest that about 1 percent of people in the UK suffer from rheumatoid arthritis. Additionally, more women suffer from this disease as compared to men. Merely taking a steaming shower is not sufficient when it comes to keeping your mind and body healthy. But the steam produced by the 3kW steam generator can cleanse your pores. However, it cannot function simply all by itself so therefore, use the following measures also, to help lead a healthier life. Modular Steam Shower Cabins – over 60 models to choose from. Custom DIY Steam Shower Kit – build your own bespoke steam room. In the low cost home size range, steam shower cabins and steam room kits for one and two persons are easily available. These are ideal if you have a small family or if you have a limited budget. 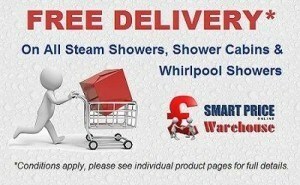 When you need a high-quality steam shower cabin or DIY steam room kit in the UK, Smart Price Warehouse is the place to shop. You can order your unit online. 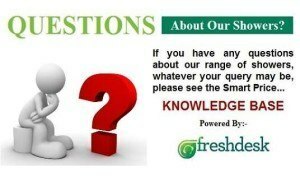 Alternatively, call us at 0208 166 5994 for more information. Noted writer George William Russell said, “When steam first began to pump and wheels go round at so many revolutions per minute, what are called business habits today, were intended to make the life of man run in harmony with the steam engine, and his movement rival the train in punctuality.” Given the increasingly hectic pace of life in every aspect of our lives, it might be time for reclaiming your space. A rejuvenating steam shower could be the best way of making a start…if only to relax and unwind after a hard days work.